Studies show that people who explicitly make resolutions are 10 times more likely to attain their goals than people who don’t explicitly make resolutions. Creating smarter marketing goals for your team is no different. Explicitly set, measurable goals are key for marketers to be successful. These three factors hold businesses back, and also hold back departments within the business (such as marketing). According to Content Marketing Institute 2014 benchmarks, 93 percent of content marketers use content marketing, yet only 42 percent of content marketers say they are effective at content marketing. Of those marketers who consider themselves effective at content marketing, 66 percent have a documented content strategy. 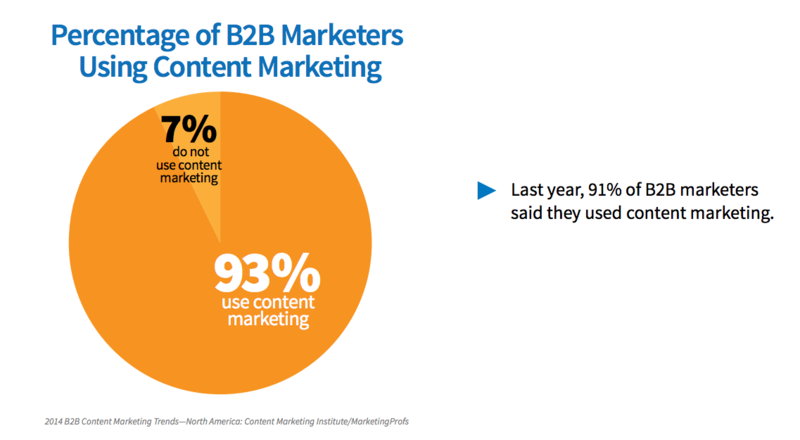 Among the least effective content marketers, only 11 percent have a documented content strategy. The reason these marketers with a documented strategy consider themselves effective is because they have a plan in place. When you have a plan, you can clearly measure how you progressed with the plan. You are also able to handle the second factor that holds businesses back — having too many competing priorities. If there is one thing I’m sure we can agree about, it is that marketers are very busy. The proliferation of marketing channels has only made it more difficult to stand out from the competition, and 73 percent of B2B content marketers are producing more content than they did one year ago. Marketers are also posting this content to more channels; B2B marketers are using an average of six social media platforms, up from five last year. The only way to cut through this noise, is to know what you are trying to achieve and then determine the correct course of action to execute on that goal. Now that we understand why goals are essential for marketers, we need to understand how to set smarter marketing goals that will enable us to be more successful. As we saw with resolutions, people who explicitly make resolutions are 10 times more likely to attain their goals than people who don’t explicitly make resolutions. That’s the reason why, among the most successful marketers, 66 percent have a documented content strategy. What varies from marketer to marketer is how they measure these goals. Next year, what will make you say, “YES, I’ve achieved my goals”? SMART Goal: Write five blog posts a week and share the posts on two LinkedIn groups. SMART Goal: Generate 300 marketing qualified leads over each quarter in 2015. SMART Goal: Create one ebook on corgis who can market in 2014 and attain one press mention for the ebook. SMART Goal: Generate 500 leads for a demand generation manager to qualify and then convert 60 percent for sales opportunities. SMART Goal: Get at least five retweets per tweet sent out on blog posts by March 1, 2017. Once you have your SMART goals, don’t forget the strategy at hand. Measurement is key! Do this yearly, quarterly, weekly, and get your entire team involved. Set key performance indicators (KPIs) which provide metrics to evaluate success factors enabling you to track progress. This year, resolve to set SMARTer marketing goals. You’ll remove uncertainty about where you stand to make this year the most successful one yet for your organization. 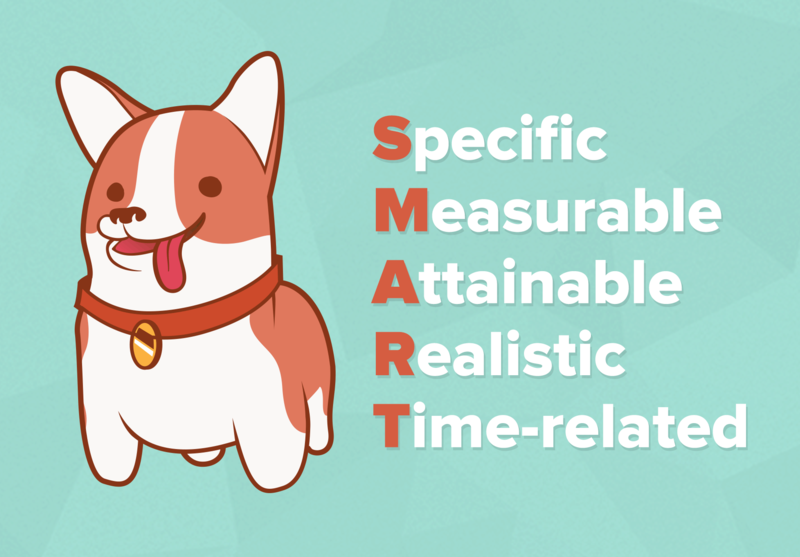 So, which smarter marketing goals are you setting? Hundreds of the world’s best marketing teams use TrackMaven’s marketing analytics platform to set goals, measure results, and prove to internal stakeholders that their marketing is working. Request your free demo to see it in action! Request a Demo:Please fill out your information below! All fields required.